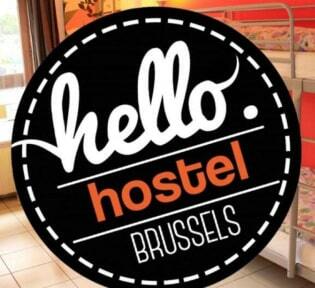 Brussels Hello Hostel i Brussel, Belgia: Bestill nå! 4.1. A “substantial change” means a change of date, a change to duration of stay or a reduction in the number of rooms by 25% or more of the rooms originally booked. 4.2 Note that 10% of the total amount of the invoice represent administrative fees and are non-refundable. 4.3 To avoid extra charges, substantial change to or cancellation of a booking must be notified in writing no later than 30 calendar days prior to arrival. Notice of cancellation or substantial change will only be effective on the working day that is received in writing. A working day is any day from Monday to Friday other than bank and public holidays. If the hostel is notified on time, the client will be refunded 90% of the cost of the reservation. 4.4 For all cancellations and substantial changes notified within 30 days of arrival, the hostel is entitled to charge 100% of the cost of the reservation. 4.5 Where any change or cancellation changes the number of group members, the hostel will recalculate the cost of the arrangements and re-invoice you accordingly. 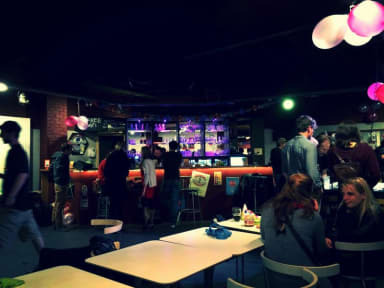 Hello Hostel asbl/vzw is a Social Tourism Accommodation Centre where you can stay for a reasonable price in a friendly and international atmosphere. In addition to the accomodation services, this non profit establishment offers you a wide array of social and cultural activities to bring people together. Every Friday at 8 PM you can enjoy our Jam Sessions where everyone is welcome to participate! Located in the heart of the chocolate area we are lucky to have the Godiva factory and it’s outlet store as our neighbourgs as well as the Belgian Chocolate Village (a chocolate museum) and the chocolatier Frédéric Blondeel. Another must see of the area is the Elizabeth Parc and the Basilica of the Sacred Heart where you can enjoy a wonderful panorama of Brussels. A reservation for more than 12 persons is considered a Group Reservation.